It’s icicle city . 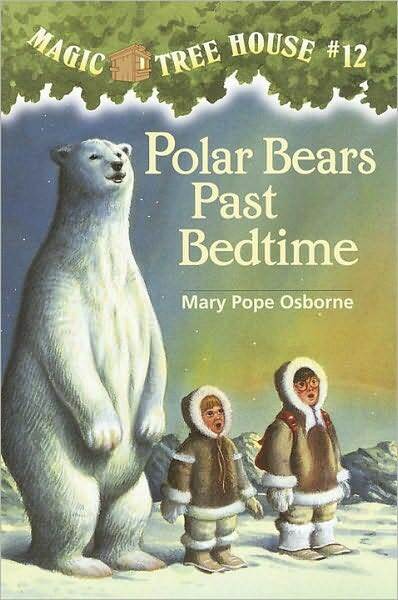 . .
when the Magic Tree House whisks Jack and Annie to the frozen Arctic. Luckily, a seal hunter on a dogsled lends them warm clothes. Unluckily, they get stuck on cracking ice. Will the giant polar bear save them? Or will Jack and Annie become frozen dinners? This was a great little story. Addyson enjoyed the details of the encounter with the Polar Bears. It amazes me the vivid descriptions that allow her imagination to continue the story.